Though currently focusing on academic projects, in his over 25 years with EwingCole, John has been the lead designer for buildings in all of the firm’s practice disciplines. 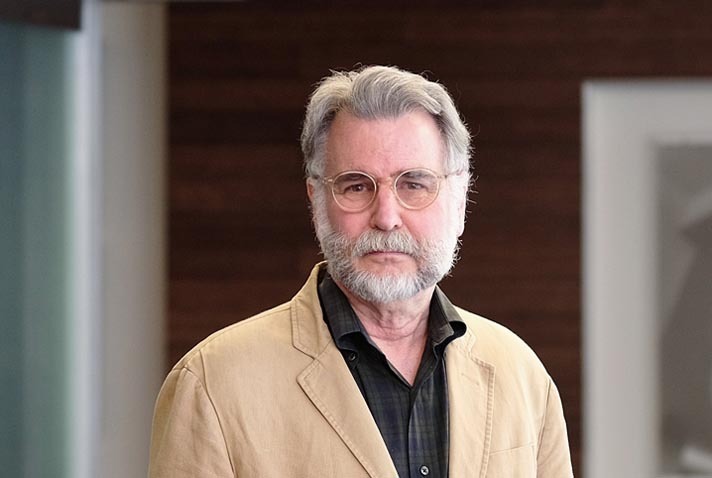 Leading design teams, both large and small, he has mentored many younger architects that have grown into positions of leadership within the firm. John believes that architecture, more than any of the arts, is a direct and permanent expression of the character of a culture at any moment in time. All art, to some degree, is about personal expression, but he believes that architecture has a unique responsibility to use the desire for personal expression, combined with artistry and skill, to reveal and celebrate the aspirations of others – institutions, communities, and individuals. Architects create for others – to organize and facilitate their work and interactions, to bring visual pleasure, comfort, and even inspiration through the manipulation of form, space, light, color, and texture. He sees each project as a unique opportunity that requires equal parts of knowledge, experience, and intuition to bring clarity, cohesion, and meaning to complex programs and building systems. A building is never just a building, but rather an extension of the site whether by integration or contrast. A building both changes and reveals the nature of the site and the respectful placement of a building in its site is the beginning of a truly sustainable architecture. After studying at the Pennsylvania Academy of the Fine Arts, John studied architecture at both the undergraduate and graduate levels at the University of Pennsylvania, where he was a member of Louis I. Kahn’s final Master Class.